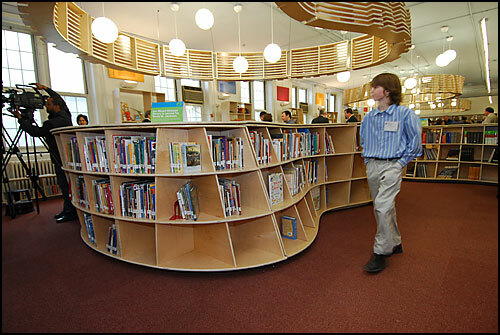 On Oct. 23, students and faculty from the School of Architecture and Planning celebrated at the unveiling of the latest CUAdc project — the redesign of the Stuart-Hobson Middle School library in Northeast Washington. 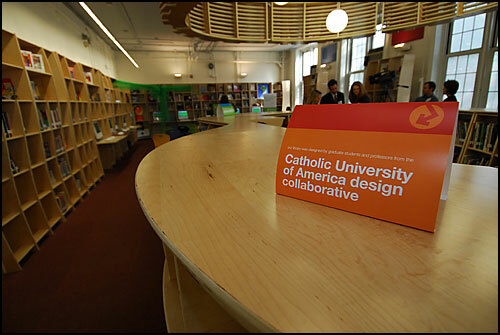 CUAdc — an award-winning design collaborative that provides services free of charge to nonprofit groups — transformed the antiquated room into a light-filled, inviting space. 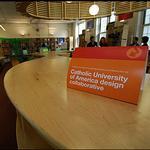 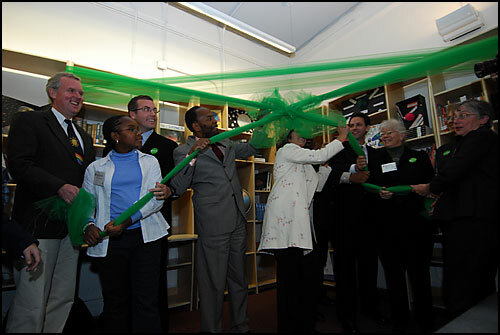 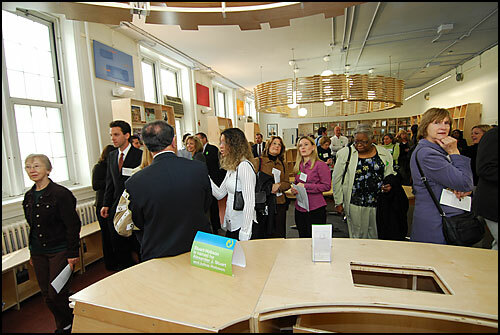 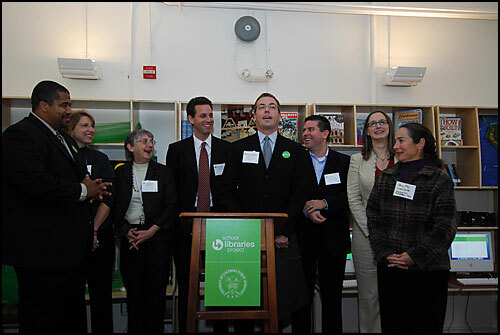 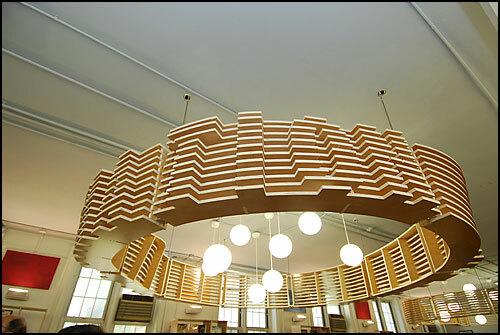 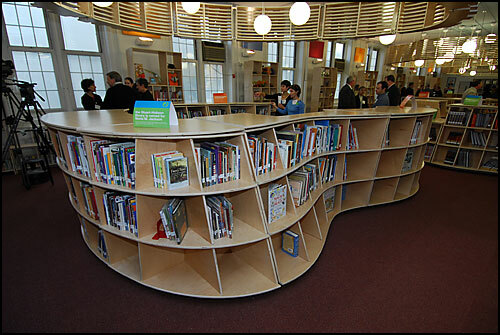 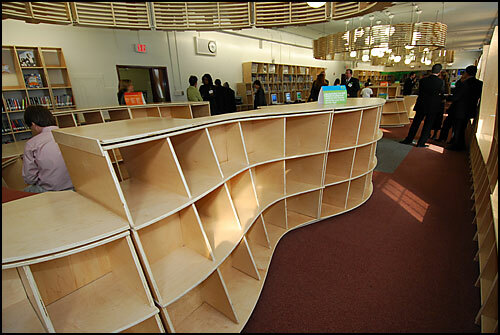 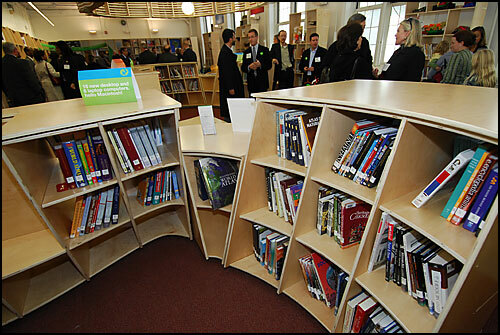 CUAdc and seven Washington, D.C., architectural firms, were selected to design new library spaces in several D.C. public schools on a pro bono basis for the School Libraries Project.